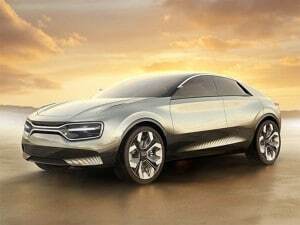 The Kia concept appears likely to be using a version of the brand's new EV platform. While details are short, the Kia design chief promises that the Imagine concept not only “answered consumer concerns about range, performance, recharging networks and driving dynamism,” but that it “also gave you goose bumps” to look at it. Kia fans likely will appreciate the styling of the Geneva show car, the exterior of which blends a fastback with a crossover. There is, as you’d expect, the familiar “tiger nose” grille, albeit one taken to new extremes, stretching from corner to corner and now surrounding both headlights. It really isn’t a grille, in fact. Like most new battery-electric vehicles, there’s no need for the conventional air intakes found on a gas- or diesel-powered vehicle. 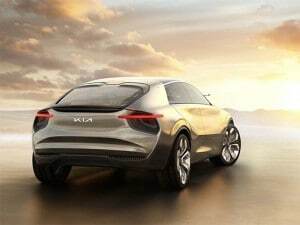 Even the Kia logo on the hood and tail adopts a different appearance, company designers apparently imagining an alternative approach for future battery-cars. The windshield, meanwhile, flows smoothly into the roof, a single piece of glass running hood to tail. Sideview cameras – a concept that many believe will finally win regulatory approval in the next year or two – replace conventional mirrors. That approach would, if nothing else, help reduce cabin wind noise and aerodynamic drag. The concept features 21 separate videoscreens. “The front air curtain; the way the double-skin bonnet channels air through the nose, up and over the front screen and roof; the double skinned C-pillar that creates an air spoiler; the completely enclosed underbody; the wind-cheating ‘wingcams’ and the hard-edged break-away around the car’s rear – all these features collectively boost aerodynamic efficiency and reduce turbulence and drag,” said Guillaume. The overall design may fall into the utility vehicle category, but the Imagine concept has a low, wide and planted look, overall, with sculpted panels offset by the occasional sharp crease. The wheel wells, meanwhile, are large enough to handle specially designed 22-inch wheels shod with Goodyear’s Intelligrip EV Concept tires. The high-tech appearance is carried through to the cabin where passenger will discover a whopping 21 different UHD display screens that are designed to visually blend together. 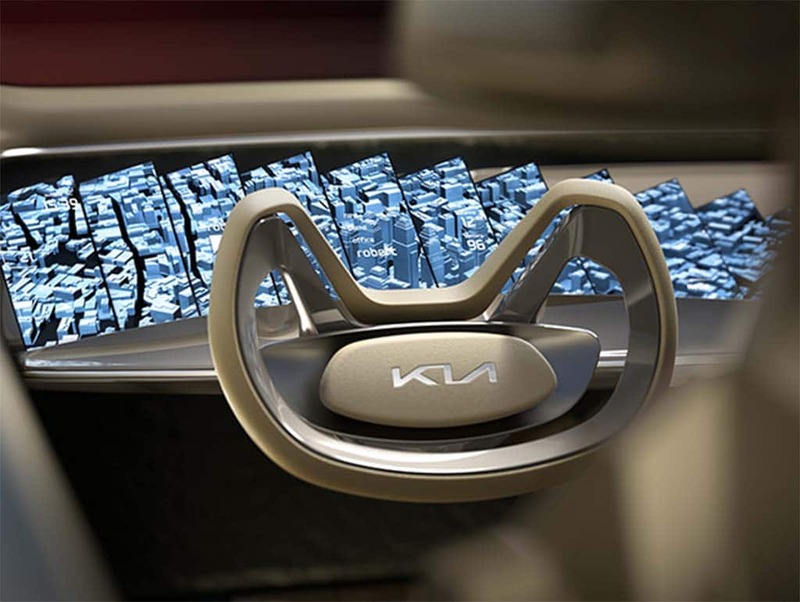 “These 21 incredibly thin screens are a humorous and irreverent riposte to the ongoing competition between some automotive manufacturers to see who can produce the car with the biggest screen,” explained Kia Europe’s head of interior design, Ralph Kluge. While there is no clear indication that Imagine is anything more than a concept car, one should note that Kia – like sibling brand Hyundai – is pushing aggressively into electrification with products like the new Niro. The parent company is developing an all-new electrified architecture that both brands will share, and the Geneva prototype clearly hints at a few of the design elements we’ll be seeing from an all-electric Kia over the next several years. This entry was posted on Tuesday, March 5th, 2019 at and is filed under Auto Shows, Automakers, Automobiles, Business, Concept Cars, Crossovers/CUVs, EVs, Electrified Vehicles, Environment, Fuel Economy, Geneva, Hybrids, Hyundai, Kia, SUVs, Sales, Technology, Trends. You can follow any responses to this entry through the RSS 2.0 feed. Both comments and pings are currently closed.